LOUISVILLE, KY (WAVE) - A woman found the body of a man she doesn't know inside her van in the driveway of her home Tuesday morning, Louisville Metro police said. Kristin Crinot had planned to use the van to drive voters to the polls. Crinot and her family were leaving their home in the 3000 block of Eleanor Avenue in the Gardiner Lane neighborhood to cast their own ballots when they found the body about 7:15 a.m. The woman called 911. Police and Louisville Metro EMS arrived, and the man was pronounced dead. "I didn't even stay close enough to absorb what the reality of the situation is," said Crinot. "I just knew it was something that transcended my ability to manage and ran back to my house and called the police." 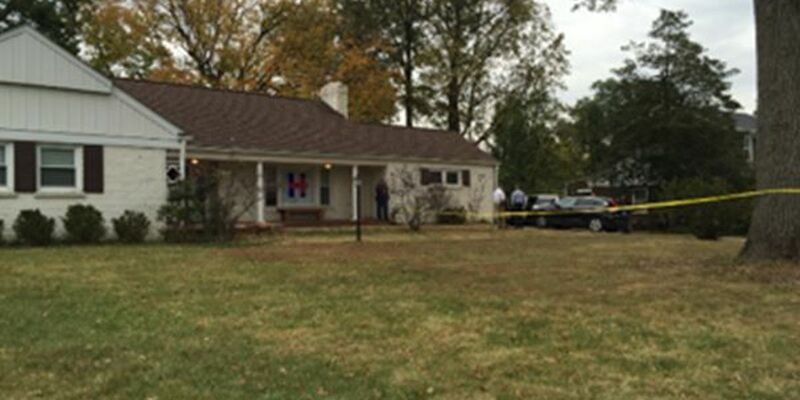 Crinot, which WAVE 3 News' Maira Ansari reported has a Hillary Clinton flag displayed prominently on the front porch of the home, had baked cookies for the people they planned to transport to polling locations Tuesday. Police are calling it a death investigation and weren't able to say much about who the man is, why he ended up in Crinot's van, or how he died. "This is a random event and could have happened to anyone on this street," said Crinot. LMPD towed the van to be processed for more answers. "It's a shame that someone's life ended in this way," said Crinot. "I'm sorry for my children that it touched our family on this day." Crinot said despite the rough morning, she was still going to find a way to vote and have a party at the end of the night. The cause of death has not been determined, nor is the person's identity known.